Hey guys! 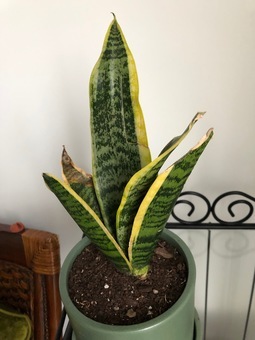 Last weekend I received a snake plant laurentii from The Sill (yay!). However, it apparently had a very rough journey because it arrived with broken leaves and one leaf in particular that's rapidly browning/crinkling (boo!). Mainly, I am wondering what to do about the angry brown leaf as I wait for the poor thing to revive. Should I leave it as is, remove the brown part, or remove the whole leaf? 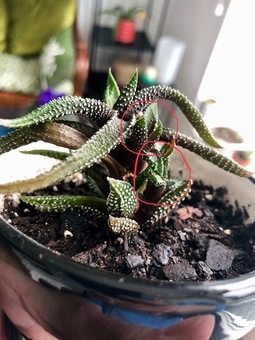 The plant also has new growth and otherwise seems like it will bounce back, so I don't want to ruin its chances at revival. It arrived with pretty damp soil, so I'm holding off on watering it until the soil dries out. I've got it in indirect light to the side of a west-facing window. Thanks in advance!